REIGN has announced details and released a PV for the first of two singles entitled "AKANE". Both singles are to be released under SPEED DISK, with "AKANE" being released May 11th and its counterpart sometime in September. "AKANE" will come in two TYPES, TYPE A selling for 1620 yen and TYPE B selling for 1944 yen. TYPE B will come CD+DVD, including a PV for the featured title. For anyone curious about the PV ahead of the release date, the band has already uploaded the video on their site. 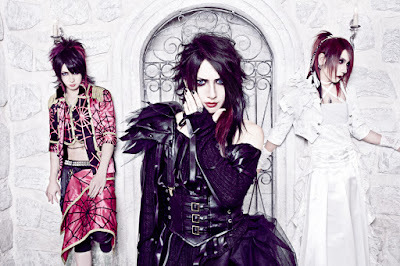 REIGN will hold their one-man live "HOUSE OF THE DEVIL" on September 3rd at Takadanobaba AREA.